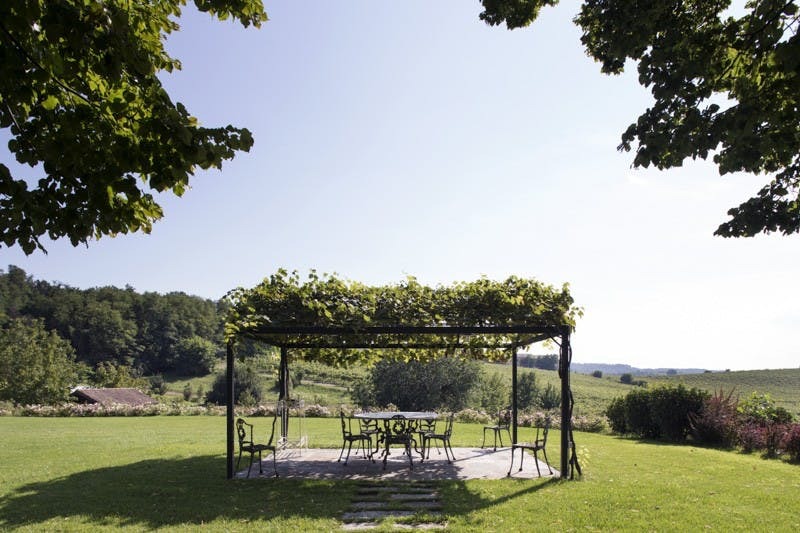 With the opening of Locanda La Raia, this winery and estate in Gavi is the perfect getaway for experiencing this beloved little corner of Piedmont at its finest. I’ve said it before and I’ll say it again: One of the perks of living in Milan is the city’s close proximity to majestic Piedmont. 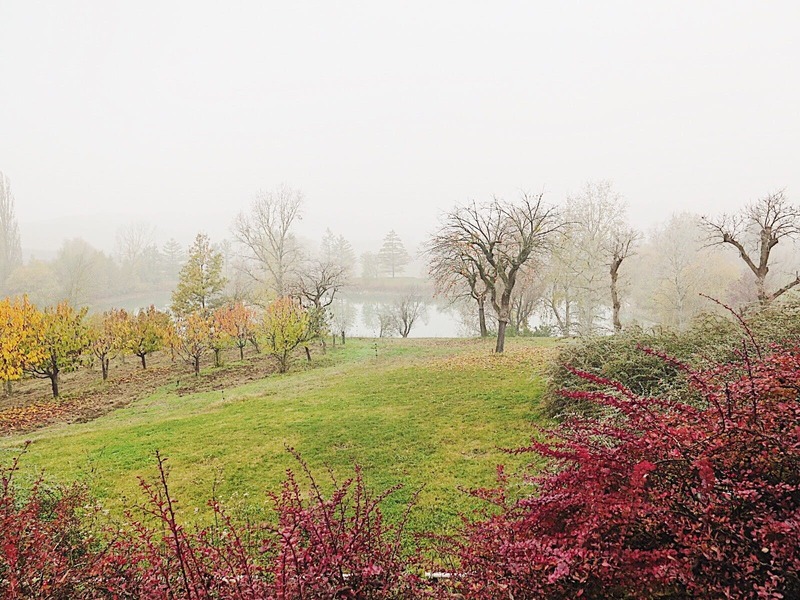 And one of the perks of working at Musement is getting to partake in some of the activities that we offer….particularly food- and/or wine-centric excursions in said majestic Piedmont. Among the many tempting bounties of Piemontese terrain is a grape called Cortese, a white varietal cultivated in the province of Alessandria, home to Gavi, one of Italy’s 74 D.O.C.G. status wines. 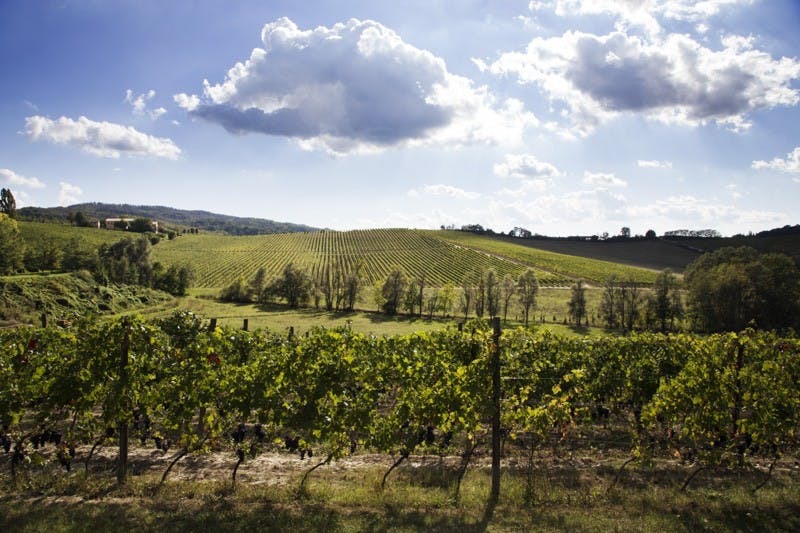 Italian entrepreneur Giorgio Rossi Cairo and his wife, Irene Crocco, acquired the La Raia estate in 2003, and four years later, they achieved, and have since maintained, Demeter certified biodynamic status. Today, the family-run operation produces three different types of Gavi and two wines made from the popular red variety, Barbera. The 180-hectare estate features 42 hectares of flourishing vineyards and two accommodations, and the bounty of the land is implemented into other delicious ingredients such as honey and farro in addition to the wine. La Raia stands front and center among the top producers of the dry aromatic Gavi. Arriving at the estate feels stepping onto a page inside a fairy tale book, with 360-degree views of rolling vine-clad hills, stunning landscapes and an Instagram-worthy moment with every turn of the head. Still breathtaking on a misty, foggy November day, the autumn hues and vibrant green landscape popped through the fog to create an ethereal patchwork, that was at once charming and other-worldly. La Raia’s classic Gavi best represents the defining characteristics of the Cortese grape, but also with the unmistakable minerality of La Raia’s calcareous clay terroir. The 60-year-old La Madonnina vineyard, where the grapes for the Gavi Riserva are grown, clings to the south-east hill. Comprised of slightly raisined fruits, the Gavi Riserva takes on a golden color as well as the complex characteristics of honey and both ripe and candied fruit. It’s aged in a tank for six months and then in the bottle for another six months before going on sale. The Gavi Pisé is made from the fruit grown on the 70-year-old vines of the La Cascinatta vineyard, which sits 400 meters above sea level. This wine best reflects the La Raia philosophy, using carefully selected grapes resulting in complex aromas and flavors that change daily. La Raia’s standard Barbera boasts the red fruit, brushwood and rose flavors for which the wine is known, while they produce the Barbera Largé during exceptional vintages only, aging the wine in barriques for 18 months and can age in the bottle for over ten years. However, the cantina is just one part of the fun! The family recently converted an abandoned nineteenth-century building into Locanda La Raia, an intimate, laid-back hotel. The twelve double rooms, suites and apartments feature a design completely different from the others, all outfitted with objects crafted by local designers alongside older pieces salvaged from markets and antique shops. Locanda La Raia’s feels-like-home ambiance is enhanced by an honesty bar and fully stocked kitchen to which guests can help themselves, a rec room complete with board games and an informal check-in area. 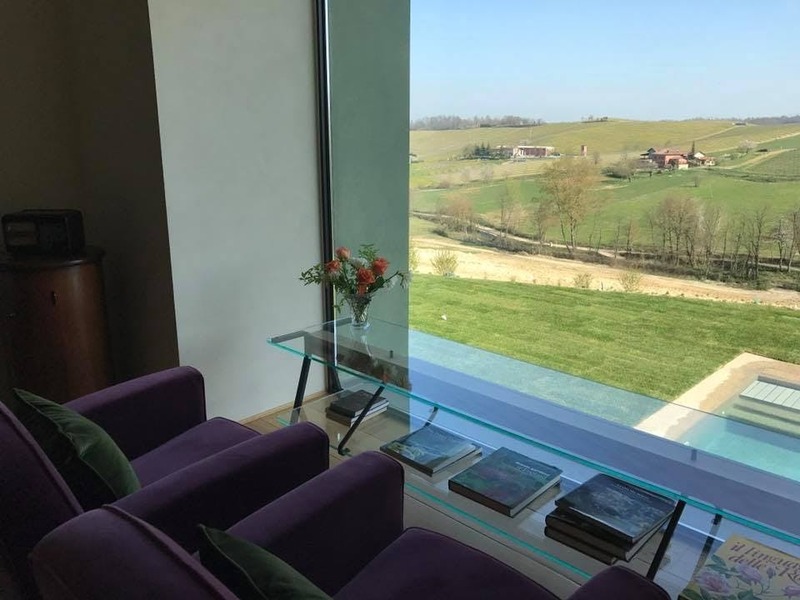 The lobby’s windows perfectly frame the view of the gorgeous landscape, and just gazing at the landscape feels a little bit like being in heaven. Guests can pamper themselves by unwinding at the pool, both indoors and outdoors, kicking back at the deluxe spa or working up a sweat in the fitness room. They can opt to enjoy breakfast outside picnic style or to treat themselves to afternoon tea. Chefs Simone and Valeria oversee the restaurant which, unsurprisingly, specializes in La Cucina Piemontese, a fare is known for its richness in the form of sauces, hearty meat preparations, creamy polenta and more. The menu highlights some of the territory’s best local produce, meat, salume, and cheese, and all prepared and served with love. Guests can sign up for cooking classes at the communal chef’s table to learn how to make typical kinds of pasta and meat sauces. But Locanda La Raia isn’t the estate’s only option for visitors to set up shop for a night or two. 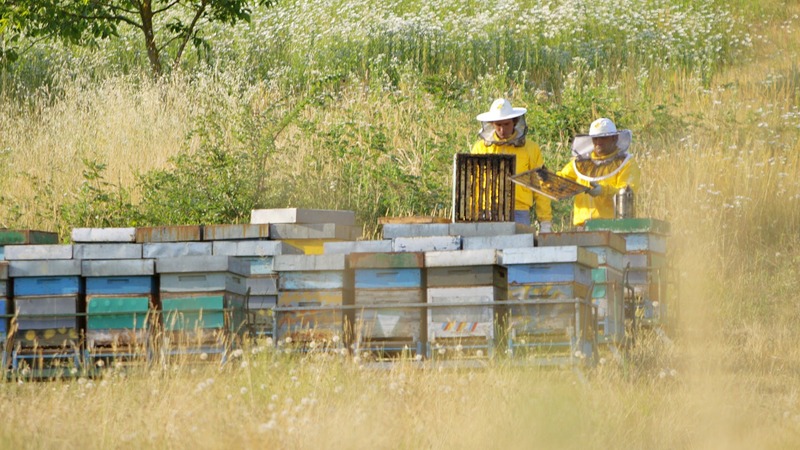 Borgo Merlassino, a renovated antique fourteenth-century farmstead houses four different apartments, each named for the different kinds of honey produced on site: Acacia, Millefiori, Bosco and Ape Regina. However, that’s not all…there’s still more! In 2013 The Cairo Rossi family launched Fondazione La Raia, a foundation that promotes and supports local artists. 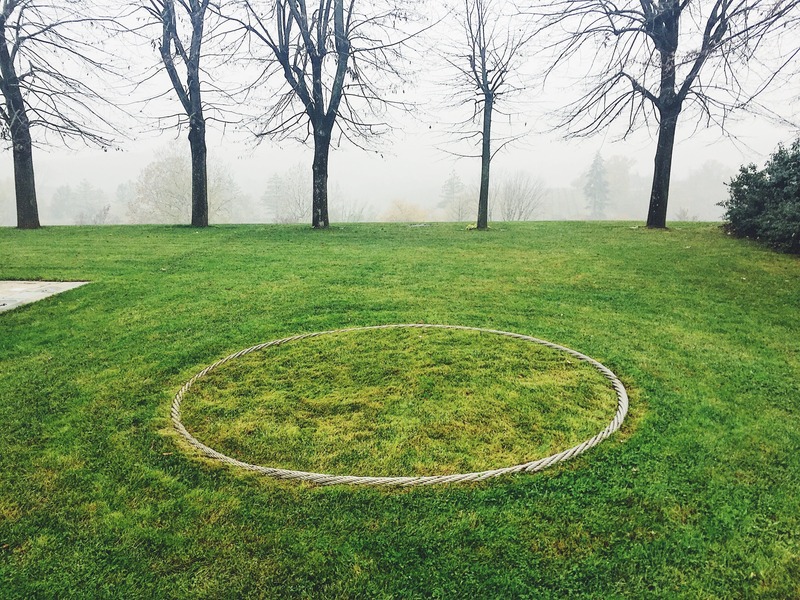 A stroll around the property reveals three permanent installations by Remo Salvadore, one of which is Infinite Present Continuous, a ring with no beginning and no end displayed on the lawn. The foundation also showcases a series of temporary exhibits from other local artists. Book your tour and tasting at La Raia here! Stay overnight or just make a day out of it. Either way, you won’t be disappointed. We promise.